Oh come on Southy, you could sit between us. 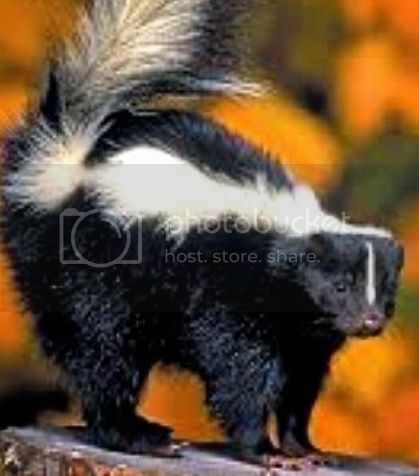 About China, Southy dearie, you can always change your mind and have the elegant Skunk hanging on your arm. (Skip the cat hair, I know of your severe allergy). We'd be stunning in the photographer's flashbulbs as we disembark from the flying machine, long scarves inadequately covering our shyly smiling faces. Think on it. I await your response. Yet here you are ! At least I know your shoulder is always there as comfort should I fail in my endeavours. I'm still outraged by suggesting Southy has an allergy to cat hair! Well, he's been sneezing all over the threads after brief contact with yourself. Really, you should do something about that hair. How about waxing? How about we put a purple streak down your white and black tail for the buffet day? I'll look elegant and keep Lokiu2 guessing who you are! Ohhhhh Southy, about that trip to China, you need a photographer right? Southy on the Great Wall! Southy on the chocolate coated ants! Turn your thoughts to exciting rickshaw rides, the exquisite silken pillows in the opium dens, the authentic Chinese dinners served up to us by silent, gliding Celestials. Stray, from you? Well, not for longer than 2 weeks. Just so happens my luggage is packed, waiting by the door for my next adventure. Catsumi wrote: Stray, from you? Well, not for longer than 2 weeks. Oh Dirtybiker, all you'd have to do is gently hang Ms. Skunk upside down and shake the sand out of her pelt. Pelt. Pelt. I like that word. Pelt. Last edited by Catsumi on Jan 24th, 2019, 12:17 am, edited 1 time in total. Great, so while you and Dirtybiker are renewing your acquaintanceship, Southy and I are touring the fish markets, standing in awe at how cute black and white Pandas really are and shopping China's luxury goods, especially the pearls, I like pearls. We are all settled. My passport is at the ready. Given that this weekend we are getting an absolute dump of snow, I vote we cancel the get together in Vernon this weekend. Anyone else for doing so? I'd hate to have someone in an accident over a buffet luncheon in Vernon. Pending a date to be set of course. But consider this weekend cancelled.